with the sound of the ocean, blue skies and the salty air surrounding you. There are many luxury cars to choose from today. Here are just a few. Porsche 911 Carrera Cabriolet – the new Porsche 911 is sleek and stylish. 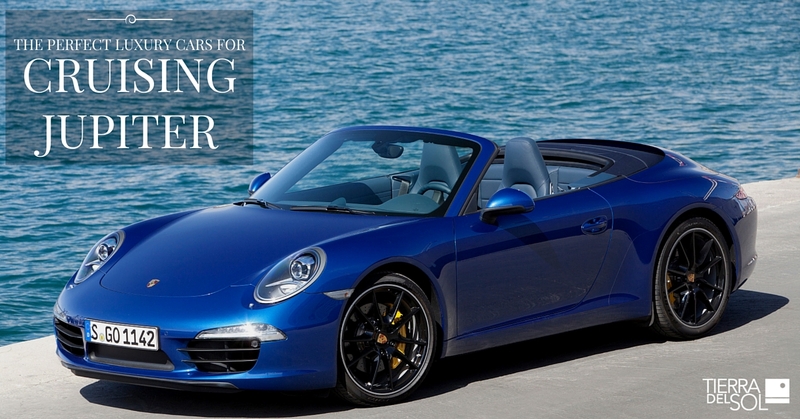 This powerful sports car is perfect for a drive by the beach or to the golf course. You can drive to the many upscale restaurants in Jupiter or take a day excursion down to Miami if you feel so inclined. Mercedes Maybach S600 – this car was designed for the driver with the best taste. If you’re looking for elegance the Mercedes-Maybach S600 is the car for you. You will find eight inches of wheelbase heightened for comfort and legroom. This elegant car is ideal for driving out to lunch, for a day of shopping and much more. BMW Z4 Roadster – this is ideal for sunny Florida days. The Z4 Roadster was designed with luxury in mind. If you’re looking for a day of indulgence the BMW Z4 Roadster is the car for you. This car has 335 horsepower, it goes 165 hours per hour and the interior is chic and sophisticated. Audi 2016 S6 – this car was made for fun and luxury. The exterior is beautiful and the interior is just as nice. When you drive around Jupiter in this car you will be driving in style. There are many places to go and things to see in Jupiter. Jupiter is known for the beach, restaurants and its laid back lifestyle. If you drive around in one of these luxurious cars you will know what paradise is all about.